TULSA — It's a blast from the past at the Tulsa Historical Society. This is their newest exhibit, Signs of Tulsa. Of course, it takes you through the history of signs in our city and the different kinds that have lit up the sky here. There is even a neon sign from the old McKee's sewing center! 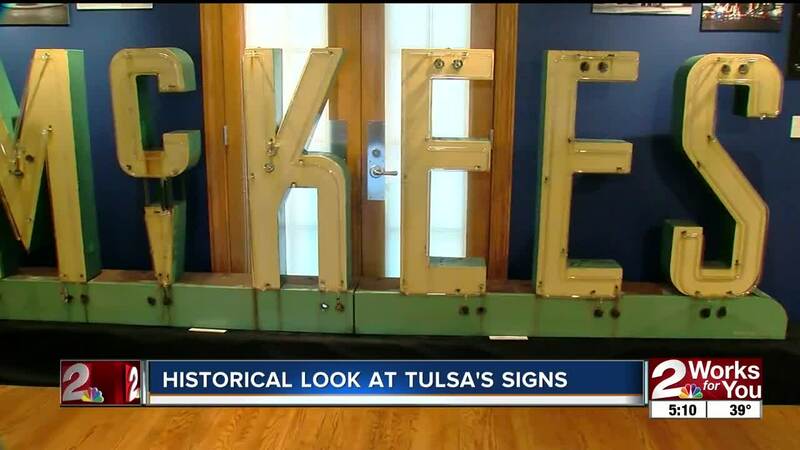 "People have saved a lot of signs and donated them to us which is great because that's what we do here and we save bits of Tulsa's history and preserve them for the future," Director of Exhibits Maggie Brown said. The collection includes yield signs, which were first invented here in Tulsa. There are also some really cool former signs of Channel 2.